Credit is a vital tool in today's society. Most individuals can not typically purchase a home, car or pay for other significant expenses out of pocket or from a modest savings account. Therefore, credit is a necessary component of our financial future. 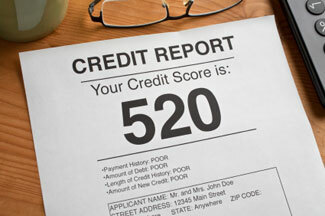 Your credit history and profile are stored in your Credit Report and is compiled by Credit Bureaus. These Credit Bureaus acquire information on your repayment history and your financial status through public records and creditors. Credit Reports are available to most consumers at no cost once per calendar year. Otherwise, they are available for $10.00 or less. Obtain your credit report yearly and examine the report for false or inaccurate information. The first thing to review for accuracy is your name, birth date, and social security number. Next, review your accounts and make sure the information regarding the accounts is correct. For example, if an account is listed as open and you have closed the account, it needs to be fixed. Or, if you see a notation of a late payment and you have a record of paying the account on time, it should also be fixed. Also, note if any public records against you are listed such as bankruptcies, court judgments. If you find any information that is not accurate, the Fair Credit Reporting Act protects you and allows you to dispute items on your credit report. The bureau must respond to your inquiry and verify the information within 30 days. You have the right to dispute information on your credit report, and you should take full advantage of the protections and rights listed under the Fair Credit Reporting Act to keep your credit report current and accurate. It is essential for you to manage your credit report as they hold information about your credit worthiness. Mortgage Lenders, auto financiers, store credit lines, and even some employers will look at this information to evaluate your background and credit reliability. Having a positive and highly rated credit report can help you obtain desirable mortgage rates and monthly payments, make better deals when you purchase a new automobile, along with other countless benefits. Managing and maintaining your credit report may be one of the more time-consuming activities you do, but the results will be extremely beneficial in establishing your secure financial future.